You will Watch Men in Black TV Season 3 Episode 6 online for free episodes with HQ / high quality. 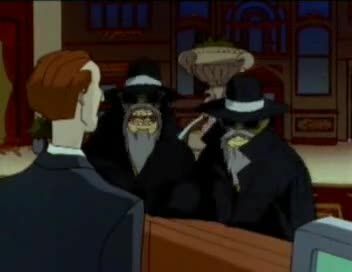 Stream cartoons Men in Black TV 306 The Mine, Mine, Mine Syndrome. The Bug Queen herself has come to Earth and is hiding in hotel, waiting for her eggs to be able to hatch and take over. Making things more difficult for MIB is the presence of the Emperor Worm, who happens to be staying in the exact same hotel as the Bugs.